We hold the right to change these terms at any time and we advise customers to check these before placing an order. This webstore is operated by Wildward (VAT No. FI25110556) and is located in Finland. Throughout the site, the terms “we”, “us”, “our” and “I” may be used interchangeably to refer to Wildward or our own brands. We consider all our products to be in two different categories: ready-to-order and made-to-order. Ready-to-order can be ordered when there is stock available and are subject to availability. Made-to-order items are manufactured in our workshop and are made when the order is placed. These items may be considered as ‘out of stock’ when manufacturing materials are unavailable. Many Vihe Vaellus products are considered to be in the made-to-order category, and are handmade to order. They are marked with the ‘Order Now’ button. – ‘Order Now’ means we will start to prepare your product. We aim for around 3 weeks for manufacture of our larger items, but please be aware that periods of high demand can make production times longer. For ready-to-order items, we generally ship our items within 2 to 3 business days if the items are available in the store. They are marked with the ‘Buy Now’ button. We will ship your entire order when we have all the items unless there is a different agreement. If you wish to receive your ready-to-order products sooner, please order seperately from made-to-order items. Many of our ready-to-order items are surplus items and availability may vary as demand dictates. Prices include 24% VAT. We hold the right to change prices and small details on our products. Please note that our workshop is closed on weekends, so while queries may be answered during this time, production only occurs during the week. Please keep in mind that we get backlogged during the holiday season and it may take longer. We will not be held responsible or liable for any problems that result at your local customs office. No refunds will be given for items that are seized at your local customs office. We will not be held liable for any customs duties or taxes that arise from your local customs office. We will also not be held responsible for any additional fee the local carrier in your country may charge. Our international shipping prices reflect the base shipping charge not including customs duties, taxes and country specific fees. Our fees ONLY reflect the cost for us to ship your order to your country. If you are unsure of your country’s import policies, please check with them before ordering. Wildward is not responsible for delays caused by weather or other natural disasters. Sale and promotional prices are only valid during the specified promotional or sale period. We do not offer rain checks or extend sale/promotional prices to products purchased prior to or after the sale/promotional period. Sale and Promotions cannot be combined with other discounts. Promotional Giveaway offers are while supplies last. There will be no rain checks or other compensation offered when supplies are depleted. Sale times are based on Finnish time. Promotions may end without notification and will not be extended. We respect and are committed to protecting your privacy. We may collect personally identifiable information when you visit our site, but we will not sell your personally identifiable information to anyone. We do not share information about you with any third party for their independent use without your express permission. However, we may disclose your personal information without your permission when we are legally required to do by, for example, a court order, for prevention of fraud or other crime to establish, exercise and defend out legal rights. If you wish to request a copy of any information that is held about you or ask us to make any changes necessary to ensure that it is accurate and kept up-to-date, please contact us. The easiest, safest and fastest way to order is by using the webshop and our payment systems offered there. This ensures that we receive the order exactly as you intended and allows us to process it through our system easily. Custom requests are processed through email only. Changes to an order can be made after the order has been placed and before it has been shipped. In case you want to make changes, please email us as soon as you can. If the order has been shipped already, we are unable to make any changes to the order. We accept returns within 14 days of delivery. If 14 days have gone by since your purchase, unfortunately we can’t offer you a refund or exchange. To be eligible for a return, your item must be returned to us unused, unworn, and in their original packaging – together with all relative labels and inclusions. Please enclose a copy of your invoice, along with details of why the item(s) have been returned. Any returns that do not have a copy of your email order confirmation or packing list will not be processed. Refunds and exchanges will be at 80% of the original sale price. Gift cards and coupons can not be refunded. Please contact us first before returning any items to confirm eligibility to a refund. Items sent without first contacting us will not be accepted, and at worst can possibly be lost. We hold no responsibility for lost or missing items. Ineligible returns will not be accepted, and will only be re-returned on receipt of further postage costs. Please only return items to us if they were actually purchased from us. We will not accept or refund items purchased from an outside source. We accept returns in the unlikely event of manufacturing faults only. Please contact us beforehand so that we can assess the situation. We will then decide what further action should be taken. We accept no responsibility for items damaged by the customer, or for normal wear and tear, or for improper implementation of our care instructions wildward.com/en/care-instructions/ . In the case of a return being accepted, the item will be repaired and returned to the customer. Items will not be refunded after use. Only regular priced items may be refunded, unfortunately sale and/or promotional items cannot be refunded. We replace items at full value in the unlikely event of manufacturing faults only. If you are returning any items, you should consider using a trackable shipping service or purchasing shipping insurance. We don’t guarantee that we will receive your returned item. All shipping is handled via Posti Group Oyj, the Finnish postal service. Prices are based on estimated weight of items purchased, the destination of the package and a possible handling fee. WE DO NOT SHIP TO THIRD PARTY INTERNATIONAL SHIPPING CARRIERS OR SERVICES. Wildward provides the right to browse and download material from this website only for personal and non-commercial use. The material on this website cannot be edited or copied for public use in any way, or displayed, presented or distributed in public, or used for other public or commercial purposes without the prior written consent of Wildward. Wildward owns and controls all the copyright and other intellectual property rights in our website and the material on our website; and all the copyright and other intellectual property rights in our website and the material on our website are reserved. Wildward owns and controls all the copyright and other intellectual property rights of Vihe Vaellus products and Wildward own products. We reserve the right, at our sole discretion, to update, change or replace any part of these Terms of Service by posting updates and changes to our website at any time, without notice. It is your responsibility to check our website periodically for changes. Your continued use of or access to our website or the Service following the posting of any changes to these Terms of Service constitutes acceptance of those changes. Wildward assumes no responsibility or liability, either express or implied, for the use or misuse of any of its products or advice or services. Wildward reserves the right, in its absolute discretion and without the need to give reasons to refuse service to anyone for any reason at any time. The information contained on Wildward website (the “Service”) is for general information purposes only. Wildward assumes no responsibility for errors or omissions in the contents on the Service. In no event shall Wildward be liable for any special, direct, indirect, consequential, or incidental damages or any damages whatsoever, to property or life, loss of opportunity, or loss of profit, whether in an action of contract, negligence or other tort, arising out of or in connection with the use of the Service or the contents of the Service or our products. Wildward reserves the right to make additions, deletions, or modification to the contents on the Service at any time without prior notice. Wildward does not warrant that the website is free of viruses or other harmful components, nor does Wildward assume any responsibility nor liability for any misuse of its products, services or advice. Wildward website may contain links to external websites that are not provided or maintained by or in any way affiliated with Wildward. Please note that Wildward does not guarantee the accuracy, relevance, timeliness, or completeness of any information on these external websites. Wildward assumes no responsibility nor liability for the use or misuse of the products or advice or services of any affiliate companies or persons. The extent of any compensation is limited to the amount of the transaction only and will not be compensated retroactively. Our products are provided as is without any guarantees or warranty. In association with the our products, Wildward makes no warranties of any kind, either express or implied, including but not limited to warranties of merchantability, fitness for a particular purpose, of title, or of noninfringement of third party rights. Use of our products by a user is at the user’s risk. 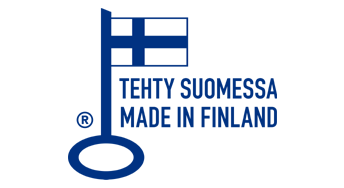 The agreement is governed by Finnish law, and any legal proceedings will take place in Finland.